bitty bits & pieces: A Little Change! I've been ready for a little change lately as you can see from my new header and background. 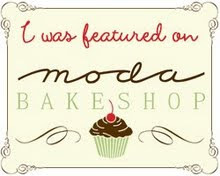 My new background is thanks to Aqua Poppy Designs. Isn't it simply darling? She has some really fun and free backgrounds if you're looking for something fresh and new. I haven't jumped in totally and done a major overall but that's definitely in the horizon as I continue to make my blog look more professional and all matchie matchie (can you spell matchie matchie that way? lol). I had so much fun taking pictures of the fabric that it became my inspiration for some change. The majority of the fabric in the pictures are from my collection of Aunt Gracie prints, I'm definitely a fan of Judie Rothermel. I did want you to know that Aunt Gracie's are my biggest collection of fabric and I've been collecting it for 10 years now. You must know that it takes many years to acquire a collection. I remember when it cost $6.39 a yard and now you pay over $2.00 more per yard. 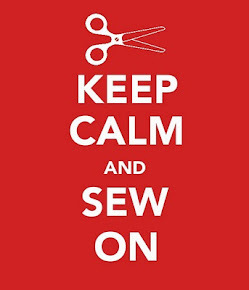 I have to admit though that I've been hitting a few fabric stores recently doing a little bit of fabric therapy, okay a lot of therapy but I need therapy so that's okay (smiles). I've been buying some of the newer Aunt Gracie prints along with some other stuff. I'll do more posts about that later. 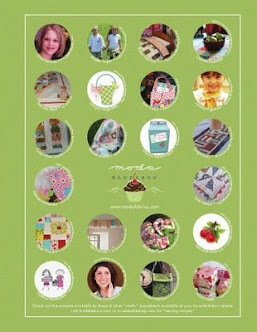 When I was at Broadbents the other day, Laurel showed me a new scrappy quilt book that I just had to buy. One of my requirements for buying a book is that I have to like more than 3-4 quilts in the book for me to buy it. This is the book. You can see it here. This is one of the quilts I'm making. The feedsack quilt pattern inspired me and since I have sooo many Aunt Gracie fabrics I knew it would be the perfect quilt for me to make. First, I wanted to have red polka dots for the center of the blocks. As you can see I already put together one block. Isn't it so fun? I LOVE it! Second, The block in the book is 12" x 12" and the strips are cut 2 1/2" and my block will finish at 9" x 9" because my strips are cut at 2". You are probably asking WHY! Well, it's because the stacks of strips that you see in the pictures above and below were cut from my stash over two years ago and I wanted to use them. So, I modified the measurements to fit the 2" strips I cut two years ago. I also threw in some of the newer fabrics I've been buying too! I actually like the smaller block better and the red center gives me quiltbumps. I'm all giddy inside! I can't wait to make more of these blocks. Love your fabric....looking at it makes my mouth water, is that why they call it eye candy? Love the quilt you are making also. Ooooh, love the new background Ms. Bitty Bit. And the quilt block -- too, too cute! I'm a big Judy Rothermel fan too. She lives about 4 hours from here and when she used to own a quilt shop the quilty peeps and I went to visit once. It was a really fun trip. She's made such beautiful quilts and I think she's been one of the most influential, humble women who have made quilting what it is today. Can't wait to see your finished quilt! ooooh! I got 'quiltbumps' just looking at your pictures! I LOVE 30's prints and am a huge fan of Judy as well! That quilt you are making is going to be gorgeous!! Thanks for sharing! I like your new look!... and all your nice pics. I love the new look to your blog! It is so fresh and bright and welcoming! I can't seem to get Aunt Gracie fabrics locally but I might have to look for some online sometime! Wow love your collection. I have been collecting these fabrics too, but I don't have that many :-) I love everything that Judith Rothermel does. I collect her Civil War repos. We met her in Nashville at the AQS show. Her reproduction fabrics are great. nice change for the blog... the green looks great! i've started a small collection of 30s prints... they are just so cute! if you need any more we have lots of aunt gracie at the shop i work at... let me know!... and i can't wait to see your quilt done! Love the blog changes and really like that block you made (and your plans for your collection of fabric). Love your background and the block! Looks like a good book, too...I've started the same thing...I have to think I'd honestly make at least three things for me to buy it! I love the red center! And I really like the smaller block. What a happy quilt this is going to be! The fabric is beautiful. The block is darling. Good luck on the quilt. Oh my! All the gorgeous prints! They look great as your header! LOVE the fabrics and the block is great!!!! ah the red dot center perfect! yes I have been playing with 30's too! Love the new look - and the fabric! That is going to be a great quilt! Enjoy your summer break! That is going to be such a gorgeous quilt! I am drooling at all those 30's fabrics. What a gorgeous collection you have. The quilt is going to be spectacular. Lately when I've visited a few quilt shops and I've seen red polka dot fabric, I immediately think of you. In fact, when we were at the bakery "Backers" for my daughter's birthday, they had a red polka dot tea pot, and I knew you would love it! I just loved your new design and I popped over to see what she had. I ended up choosing the same design and you, but didn't realize it at the time. I guess I am going all matchie matchie too. I am not sure that I am going to keep it though, time will tell. I just love all your Aunt Grace, they are such a favorite of mine. I cannot wait to see your quilt all complete. Holy smokes--I am a brand new quilter ( as in a few weeks ) and I didn't know it was possible to have so many beautiful fabrics anywhere except in a fabric store! I am SO jealous! (lol) I just found your blog and will be sure to follow along. Love the new look - it's nice and fresh feeling. I'm sooo jealous of your beautiful fabric collection! 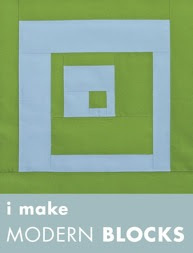 The quilt you are making is perfect for those fabrics. It's going to be a stunner when it's finished. 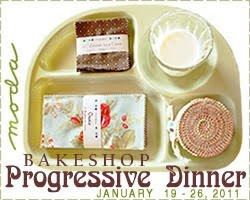 I love your new blog look and that fabric line is divine! I think I need to go check it out some more now that I've seen your wonderful pictures! Love the new look! The block you are sewing is so pretty. I love 1930's fabrics but I have yet to use some in a project....one day! That quilt block looks so cute! love the polka dots! I love you new header! and you block, MUST GET BOOK the the red, yes it makes it pop!! Your fabric collection is great and the new quilt is going to be a keeper. Love the 30's. And can't go wrong with polka dots either. It looks like you are having fun with your 30's collection! I loved seeing it... I NEVER get tired of working with mine, they are absolutely my favorite to use in an endless list of projects that I want to make with them. I really like your block. It looks really fun to do and a great way to show off your collection. For some reason gmail wasn't letting me respond to your last comment, but I laughed so hard at the stolen primary life-savers and missionary tag! Hah! I have stash envy. I love all your 30's fabs, they're fab!! Love your blog. Oh my gosh, Kim. Your fabric looks so lovely sitting there in color families. It makes my heart beat a little faster. I've tried to send 3 e-mails to you this week and all have been rejected. I can see by your side bar that you already know that it's not working. Anyway, thanks for stopping by my blog. I hope you get things fixed soon! Lovely 30's fabrics - they are so bright and cheery- not the pastel versions of the 30's. 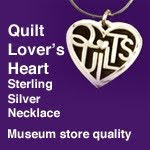 I love the pattern you have chosen - It will a gorgeous quilt. Your new blog header is terrific too. It sounds like your summer is off to a great start. We all need to take time to recharge our batteries- enjoy your books, family and friends. You will have the energy to quilt soon enough. Kim, I made that same quilt from that great book (not quilted yet, but pieced.) Great fun. that gorgeous stash of fabric gives ME quiltbumps. Time for Quilts. 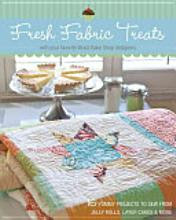 . .
Wasatch Quilt Shop Hop & Giveaway!